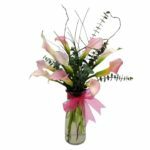 You are looking for a unique gift, the perfect something (perhaps luxurious in nature) that would rarely be purchased by oneself. 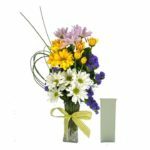 You have been searching for an item that will not only beautifully & tastefully express your love for a special someone or appreciation for a business associate, but will continue to do so month after month long after the initial gift is given. 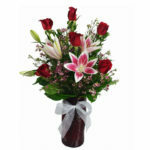 Here at Flower Patch we know that the gift of Fresh Roses is the perfect something you seek, & have created a “Year of Roses” Program to enchant & delight your recipient each month as they receive (one dozen long stem roses) in a different variety carefully selected for head & stem size, color variations & uniqueness to grace their home or office with splashes of color & fragrance! Surrounding oneself with Fresh Roses day after day was once believed a luxury only the wealthy & well known could enjoy, therefore we have created a “Year of Roses” Program available in 3, 6, 9 & 12 month options making monthly fresh roses a luxury affordable to all! 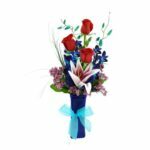 Your recipient will receive the first months Roses delivered to their door beautifully & uniquely arranged in a (28″ High) keepsake vase (pictured) featuring River Rocks & a gorgeous French Ribbon Sash with a matching announcement card bearing your personal message. 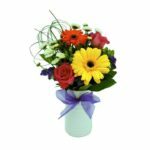 Each month after, they will receive on the date specified by you, their new Roses attractively gift wrapped with instructions as to how to care for & style their flowers within their keepsake vase. 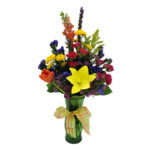 *Pricing includes monthly delivery fees, one keepsake vase, rocks & sash, & monthly roses. 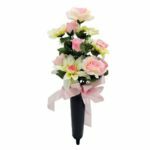 Questions, Payment Options, or to Place your “Year of Roses” order, please dial 1.801.747.5377 to speak with a Flower Patch sales representative.